This listing expired on May 6, 2014. Please contact programs@archaeobarcelona.com for any updated information. The first 29 days we will be at the archaeological site of La Roca dels Bous, which is a Middle Paleolithic site located in Sant Llorenç de Montgai in the Catalan Pyrenees, Spain. 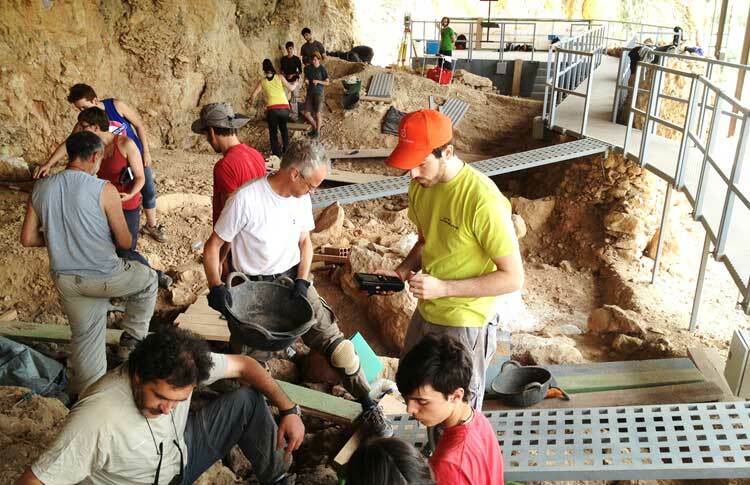 We will excavate stratigraphic levels from 50,000 years ago in which we will find the remains left by the last testimonies of southern European Neanderthals. The goal of this project is to explore and understand the social organization and the critical changes that drove Neanderthals to their disappearance during the Paleolithic. The Catalan Pyrenees are caracterized for having a great variety of archaeological heritage, with archaeological remains from the Middle Paleolithic and Neolithic to the Middle Ages. This site is part of the European project called POCTEFA, a partnership between the countries of Spain, France and Andorra, seeking to provide highly valuable information on the latest evidence for Neanderthal in this area and the reason for their sudden disappearance. It is the first archaeological site in Spain that has been turned into a museum exhibition with digital technology. Using an iPad you can take an interactive tour through videos, photos and 3D applications. Furthermore, the exact location of the findings is mapped via laser triangulation to provide an unparalleled experience. The site utilizes advanced technology, not found in most other excavations. During the last two years the project has developed, exclusively for this site, a worlwide innovative digital system to classify the pieces found. This reduces the labeling time in half and the error rate from 40% to 1%. The novelty also lies in incorporating datamatrix codes that, by collecting information on site with a handheld device, allows you to have control of the artifacts and access to more information available in the network. 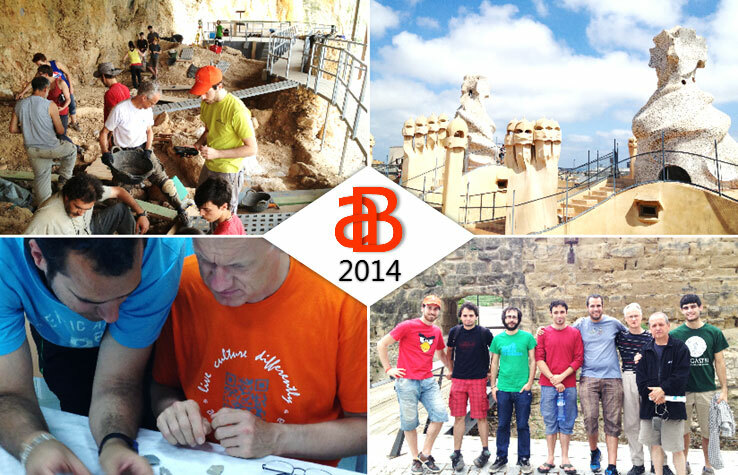 The methodology used in La Roca dels Bous is starting to be adapted to other archaeological investigations across Europe. Participants will learn to use these innovative technologies. You will participate and learn by joining the research group CEPAP in all phases of an archaeological excavation, including piece recovery (lithic and bone), cataloging, lab work and restoration. You will also calculate the depth of deposition levels and take the pictures. We will spend the morning working in the field, while in the afternoon we will conduct lab work. There will be a few days during the program where participants will attend seminars given by professors of the Universitat Autónoma de Barcelona. The team is Spanish, however everybody speaks English. Moreover you will be guided by an archaeologist which will guide you in English during the program. The hostel is located in an incredible natural landscape, where you have the opportunity to have a good time swimming in the lake or doing other recreational activities like kayaking. This area has a lot to offer to those seeking to learn more about a variety of past cultures. As we said, there are archaeological testimonies since Middle Paleolithic and late Neolithic to the Middle Ages. In addition, during the Middle Ages, this area of Spain was the border between Christian and Muslim kingdoms. There you can still find churches and remains of castles and walls from the different kingdoms of these periods. The next 6 days we will travel to Barcelona to carry out different cultural tours around the city. The city of Barcelona has a very ancient history and the city has much to offer. The following entry tickets are included in the program: Park Güell, Sagrada Familia, Casa Milà, Centre Cultural el Born, Picasso Museum. The Archaeological Tours take us through the Roman Barcelona, nowadays under the ground but still visible in places. Medieval Barcelona is also culturally significant, with its narrow streets, distinct buildings, churches and monasteries. The Monuments and Modernism Tour allows us to see the most important sites of the city, such as The Cathedral of Barcelona or La Sagrada Familia, La Pedrera and the Park Güell of Gaudi, among others. 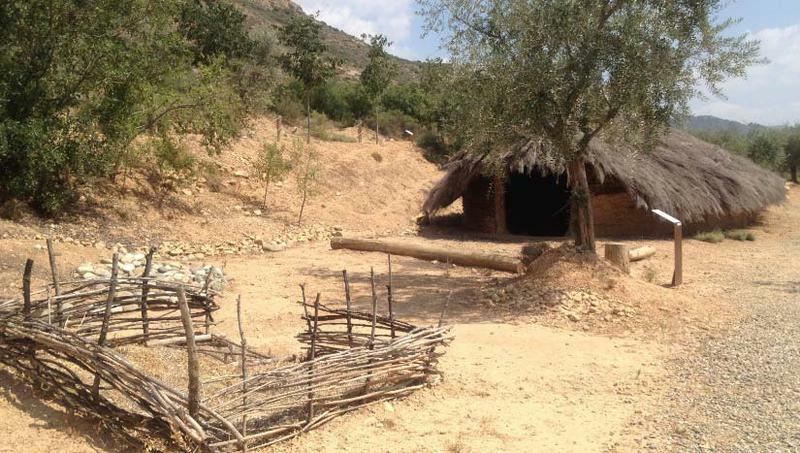 The participants will stay in communal rooms of 6 to 8 people in a hostel in the center of Sant Llorenç of Montgai, next to the excavation site. This is also a few meters away from the Segre river. The hostel has wireless internet service, laundry, on-suite bathrooms, as well as nurse service. Breakfast is eaten as a group at the hostel before going to the excavation. Lunch and dinner service is provided at the hostel’s restaurant, which serves typical Spanish and Mediterranean food. In Barcelona we will stay in communal hostel rooms of 4 to 8 people. The program provides breakfast, dinner and lunch. The hostel has wireless internet service. Breakfast will take place before the tours and the group will eat lunch and dinner in city restaurants, which serve typical Mediterranean and Spanish food. If you have problems with any kind of food, please, tell us in advance. de la Torre, I., J. Martínez-Moreno and R. Mora (2012). When bones are not enough: Lithic refits and occupation dynamics in the Middle Palaeolithic level 10 of Roca dels Bous (Catalunya, Spain). Bones for tools - tools for bones. The interplay between objects and objectives. K. Seetah and B. Gravina. Cambridge, McDonald Institute for Archaeological Research: 9-19. Martínez-Moreno, J., P. González Marcén and R. Mora Torcal (2011). "Data matrix (DM) codes: A technological process for the management of the archaeological record." Journal of Cultural Heritage 12(2): 134-139. Martínez-Moreno, J., I. de la Torre, R. Mora and j. Casanova (2010). Technical variability and changes in the pattern of settlement at Roca dels Bous (southeastern Pre-Pyrenees, Spain). Settlement dynamics on the Middle Paleolithic and Middle Stone Age. N. J. Conard and A. Delagnes. Tubingen, Kerns Verlag. III: 485-507. Martínez-Moreno, J., R. Mora, P. González Marcén, S. Vega Bolívar, J. Pizarro, J. Casanova and X. Roda (2010). 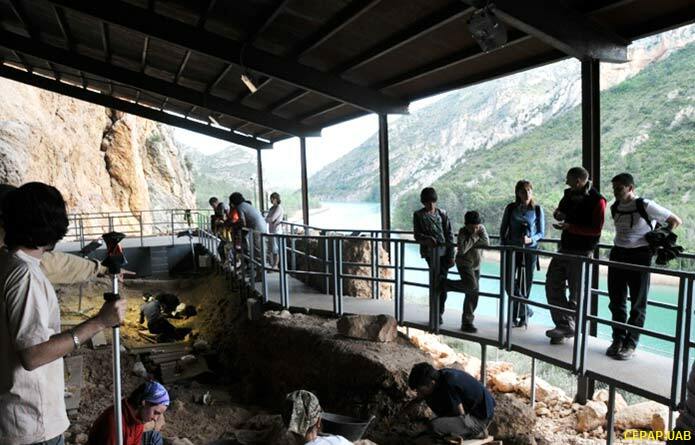 L'aparició de l'homo sapiens al Prepirineu oriental. Reconstruint els darrers 50.000 anys de poblament humà als Pirineus. 2n col.loqui d'Arqueologia d'Odèn. Home i Territori. Darreres investigacions al Prepirineu Lleidatà 2006-2008. Òdèn, MuseuDiocesà i Comarcal de Solsona: 11-28. Benito-Calvo, A., J. Martínez-Moreno, J. F. Jordá Pardo, I. de la Torre and R. M. Torcal (2009). "Sedimentological and archaeological fabrics in Palaeolithic levels of the South-Eastern Pyrenees: Cova Gran and Roca dels Bous Sites (Lleida, Spain)." 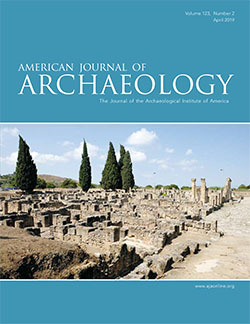 Journal of Archaeological Science 36(11): 2566-2577. Mora , R., J. Martínez-Moreno and J. Casanova (2008). "Abordando la noción de "variabilidad musteriense" en Roca dels Bous (Prepirineo suroriental, Lleida)." Trabajos de Prehistoria 65(2): 13-28. Martínez-Moreno, J., R. Mora, J. Casanova and I. de la Torre (2007). "La Roca dels Bous: sur les pas des Néandertaliens du sud des Pyrénées." Bulleltin de l'Association Archéologique des Pyrénées-Orientales(22): 47-55. Martínez-Moreno, J., R. Mora , I. d. l. Torre and J. Casanova (2006). "La Roca dels Bous en el contexto del Paleolítico Medio final del Noreste de la Península Ibérica." Zona Arqueológica 7: 252-263. Mora , R., I. d. l. Torre and J. Martínez Moreno (2004). Middle Palaeolithic Mobility and Land Use in the Southwestern Pyrenees: The Example of Level 10 in La Roca dels Bous (Noguera, Catalunya, Northeast Spain). Settlement Dynamics of the Middle Palaeolithic and Middle Stone Age. N. J. Conard. Tubingen, Kerns Verlag. II: 415-435. Mora, R., I. de la Torre and J. Martínez (2004). Technological analysis and behavioural implications derived from Middle Palaeolithic lithic assemblage from Level 10 at la Roca dels Bous (Noguera, Catalunya, Northeast Spain). Settlement Dynamics of the Middle Paleolithic and Middle Stone Age II. N. Conard. Tuebingen.